So you’ve worked with us for a while now. You’ve booked a barista. You’ve covered that shift. From the moment your barista walks through the door to the last espresso shot they pull, you’ve had nothing but positive experiences. What if we told you that could happen every day—at every shift? Ready for the real thing? Welcome to the new Cover That Shift. Coffee shops, meet the Job Board. 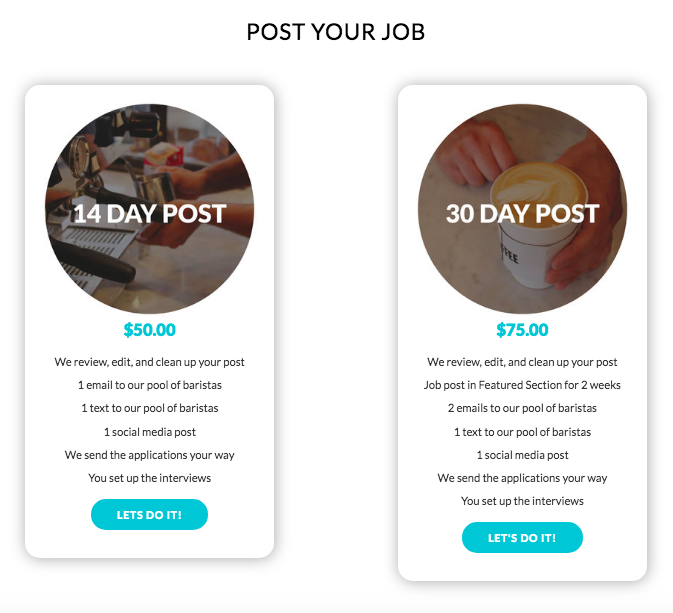 Cover That Shift would like to introduce the Job Board—taking off in New York and now live in both LA and Chicago. Find a barista not just for the day, but for the long run. When you post your job opening through us, we’ll send you talented applicants to potentially add to your team. You can still book baristas for one-off shifts if needed! All baristas will be hired from our community of experienced, pre-vetted baristas. Fill out our quick form to tell us what you’re looking for. We’ll make your post look pretty and you’ll be notified when it’s live. 3. Let the hiring begin! Your post will be blasted out to our pool of baristas via email, text, and social media. We’ll send you their applications once they’re organized and ready for your review. WHY USE THE JOB BOARD? We work with the best and will send you the best. Every barista is required to have at least 2 years experience in specialty coffee. Forget having to weed through hundreds of applications to find the right fit—we’ve done the work for you. No profile, no account, no fuss! Cut down on time and hassle. Forget making an account, simply send us your prerequisites; we’ll make it pretty and let you know when applications come in. We know you’re looking for baristas and only baristas. 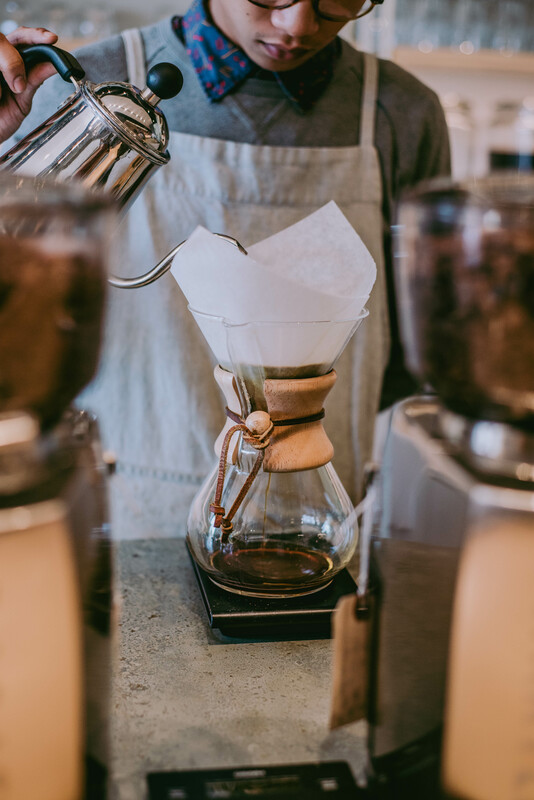 Unlike most popular job boards, ours is curated specifically for independent coffee shops—a job board made just for you. The Job Board is a game-changer. Never be short on staff again—for the day or for your team. Ready to begin the next era for your specialty coffee shop? Fill out the easy forms on the pages we’ve linked. We know you haven’t seen a service like this before. Questions?